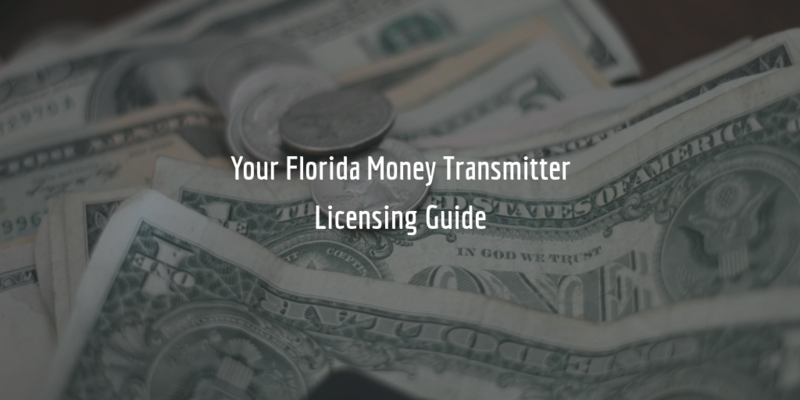 To conduct business as a money transmitter in the state of Florida, you will need to apply for a license at the Office of Financial Regulation. During the application process, you will need to complete and submit various forms, including a money transmitter bond. See below for a full breakdown of the application process for a Florida money transmitter license. Who Needs to Get Licensed? Chapter 560, Title XXXIII of the Florida Statutes states that anyone who wants to engage in (or advertise doing so) selling or issuing payment instruments or transmitting money for a fee must obtain a license first. To get a license, you must apply at the state Office of Financial Regulation (OFR), and complete the following requirements. There are different application requirements for money services businesses in Florida, depending on which part of Chapter 560 they are governed by. The Florida money transmitter license falls under Part II (Payment Instruments and Funds Transmission). Once you have completed the application, along with providing all additional documents, you can proceed with the submission and payment of fees. License application fees for Part II applicants are $375. First-time applicants are issued a one-year license, after which the license is renewed for two-year periods, and the fee is $750. According to 560.209 of the Florida Statutes, this bond is required as a guarantee and protection to anyone who suffers losses or damages due to a transmitter’s actions. In particular, any failure on behalf of a transmitter to perform their obligations as specified in the law which leads to losses is covered by the bond. The cost of the bond is equal to a percentage of its full amount. This percentage is determined by the surety you apply with, on the basis of your personal credit score, along with several other factors. You can get a free and exact quote on your bond by completing our simple bond form below. We’ll get in touch with you shortly to provide you with your quote and further information about the bonding process.